I am at it again! 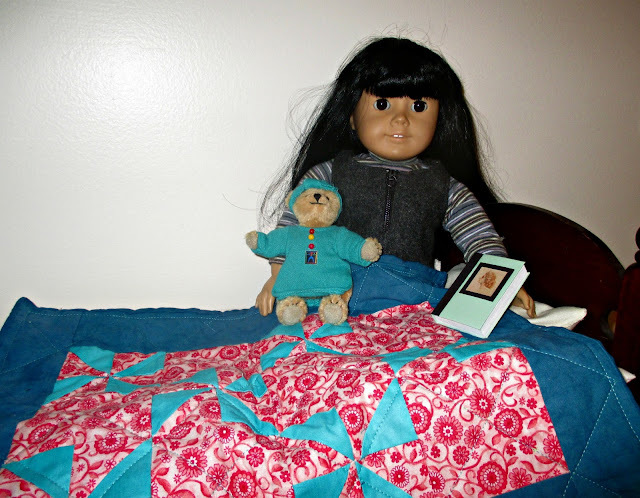 I love surprising my doll friends with doll goodies, especially doll quilts. This time I surprised Pantalaimon with some goodies. First I made a nice doll quilt with hot pink and aquamarine. 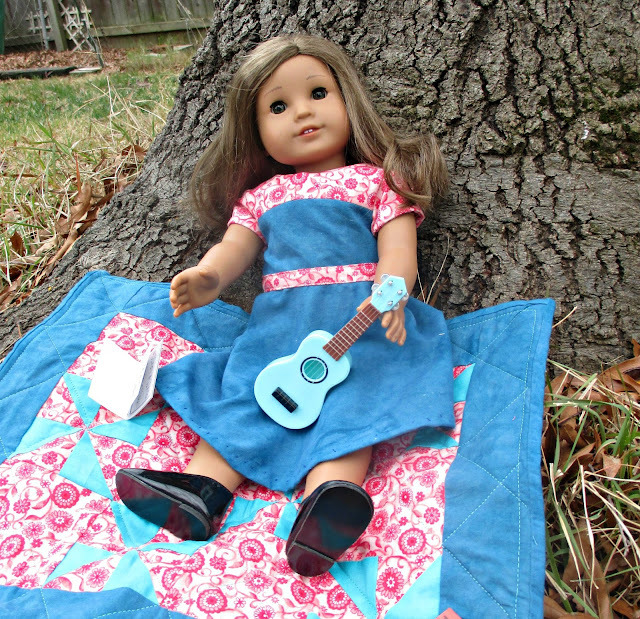 Yeah, I have been making lots of doll quilts with pinwheels lately. Shut up. I like it. Then I made a matching dress. I used the new American Girl brand pattern for it. I really like the skirt. It's all one piece and it has quite an elegant swoop to it. I stopped following the written instructions when they called for the sleeves to be set in in the round. There was no reason to do that for doll's clothes. I managed to finish it without any exposed seams and without sleeves set in the round, and it looks nice. 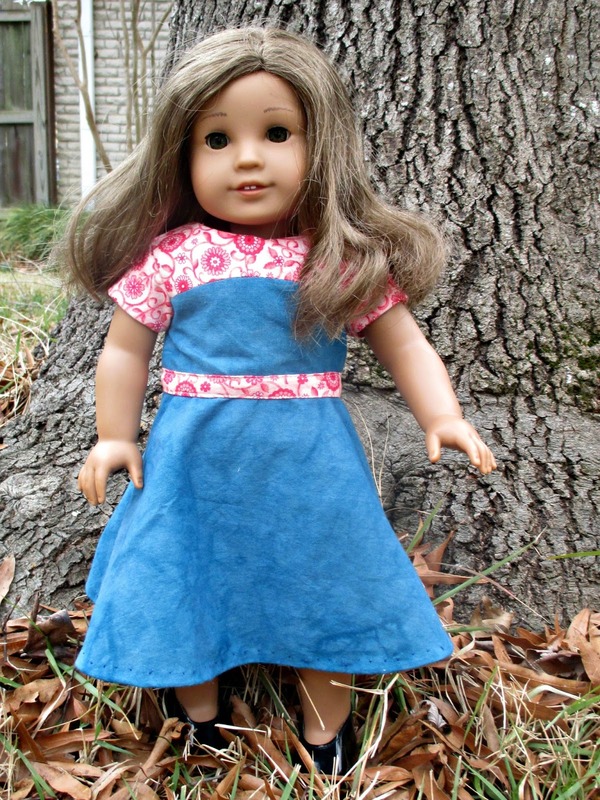 Take that, American Girl pattern writer! Because I never know when to stop, and because Pan finally got the Josefina she has been yearning for, I made Josefina a skirt as well. Josefina's skirt is pretty basic. 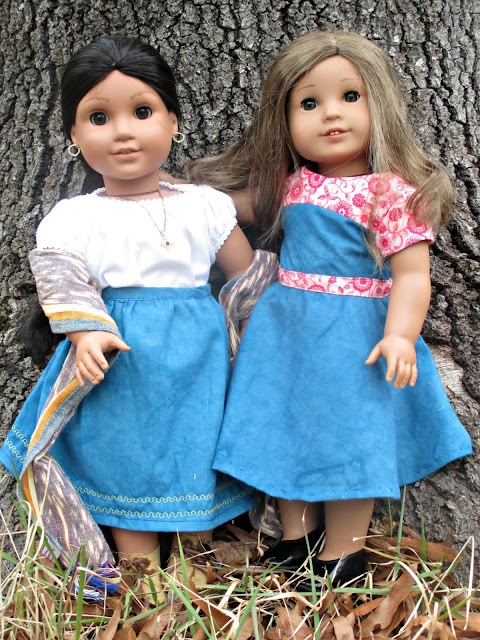 There is a pattern available at AG Playthings, but I just used the belt from the same Simplicity pattern as a waistband and cut the main skirt 24 inches by 8.5 inches. 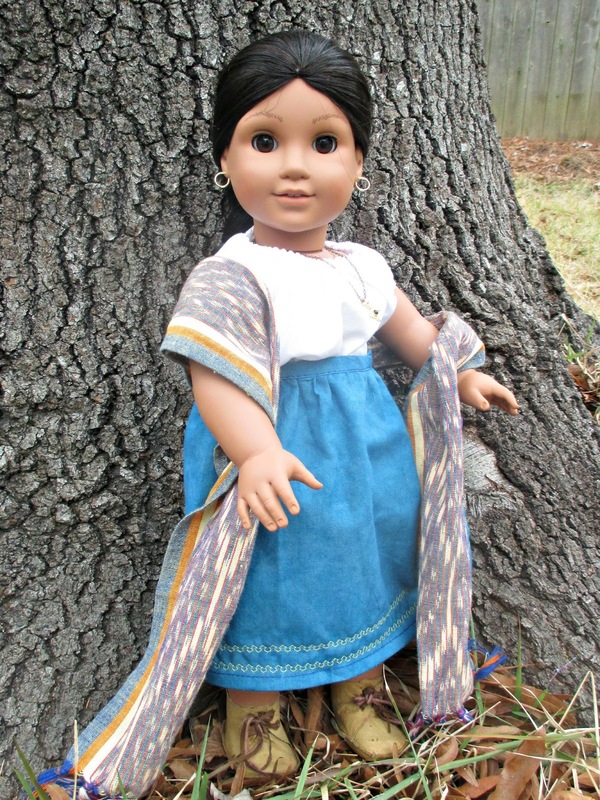 It came out exactly the same length as Josefina's meet skirt. I did two rows of yellow machine embroidery to fancy it up a bit. Obviously Josefina wouldn't have had machine embroidery, but it's really cute. Here are both outfits together, and they are quite cute side by side! Great trio of crafting there! Pan must have loved them, they're all cute pieces. 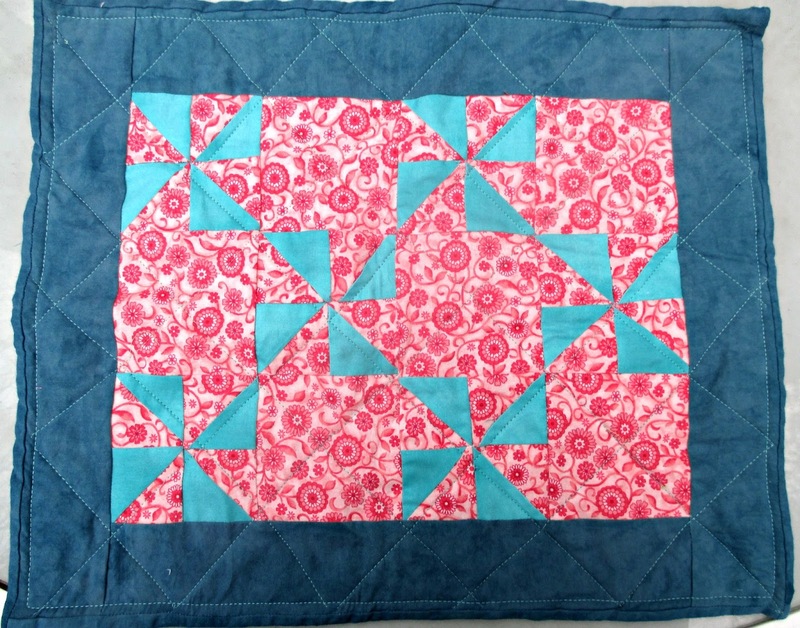 That's a really pretty quilt!